Super Popular - excellent customer feedback, fluffs up baked goods, best tasting vegetarian seitan! Look below for a guide on how much vital wheat gluten to add to your baking recipe and how to make seitan - a great meat substitute! How much protein does this Vital Wheat Gluten have? High 71-83% protein estimate. See the Nutritional Information below as a guide. High protein, low carb, low starch = GM free Vital Wheat Gluten from Australian grown wheat, sourced in Australia. What is Vital Wheat Gluten? A fine light cream coloured powder obtained by drying freshly prepared wet gluten separated from high quality Australian wheat flour. Vital Wheat Gluten is 100% gluten which is the protein in flour. This is also a low carb flour! Also called Gluten Flour. 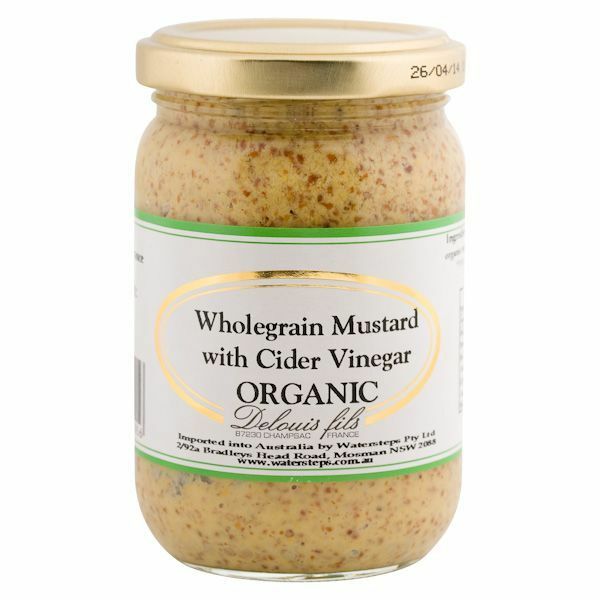 Suitable for Vegans, Lacto Vegetarians, Lacto-Ovo Vegetarians. Why, when and how to use Vital Wheat Gluten? 1. in all bakery applications to boost the protein in flours, to create lighter breads by increasing the elasticity of your baked favourites. 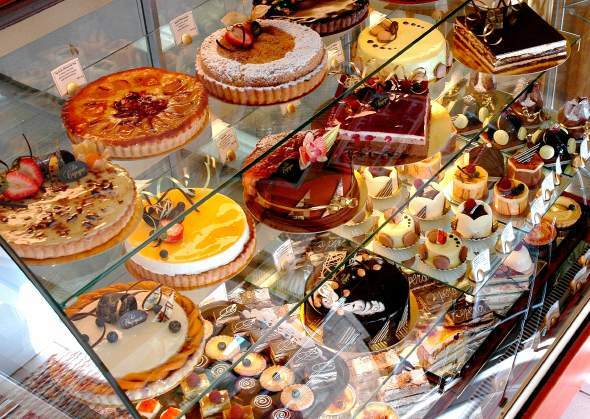 Professional bakers use Vital Wheat Gluten to create their wonderful baked goods. - Vital Wheat Gluten is added to low protein flour to boost the protein level which gives it sufficient strength for bread making. Wholewheat, wholemeal and rye flours have lower protein levels due to the high bran content in the flour. Recipes that contain lots of nuts, seeds or added bran can sever gluten strands so adding gluten is required. Bagel recipes have a high gluten content to create the chewiness. - 1 tablespoon of Vital Wheat Gluten to 2 cups of flour. - Other cooking websites also indicate bewteen 1.0-1.5 tablespoons or 3-5 teaspoons Vital Wheat Gluten per 2 cups of flour. Read more below **. - need an extra 3.0g protein (12.5-9.5) per 100g of flour. 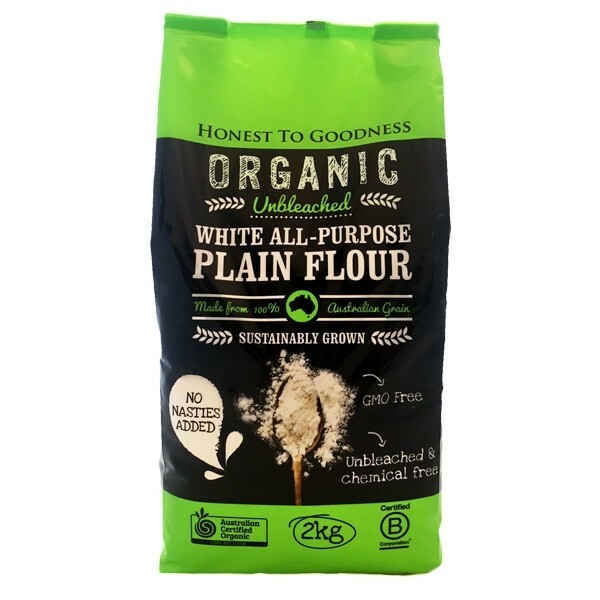 So for 500g (100g x 5) of flour, you will need an extra 15.0g (3.0g x 5) of Vital Wheat Gluten/Protein to achieve approximately 12.5% protein in the final flour used for the recipe. 3. to produce seitan - a great 'meat substitute'. The essential ingredient for seitan - see recipe * below. 4. Also widely used as a useful nutrient and binder in feeds for aquaculture. 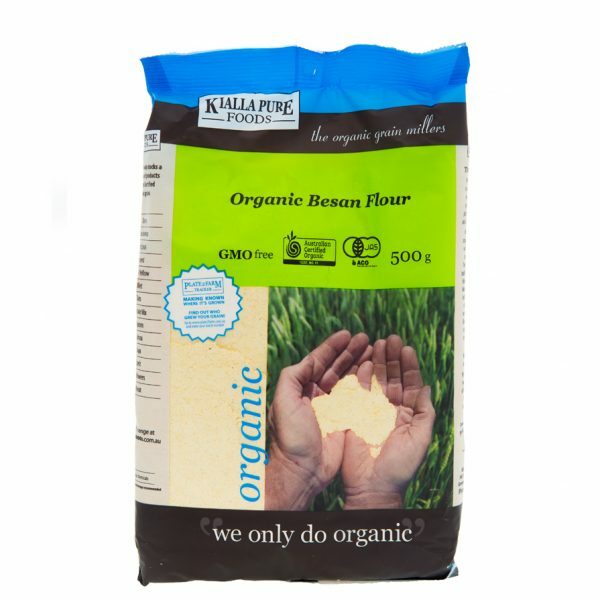 We have sourced Australian Vital Wheat Gluten, unlike other brands which contain imported vital wheat gluten or gluten flour. 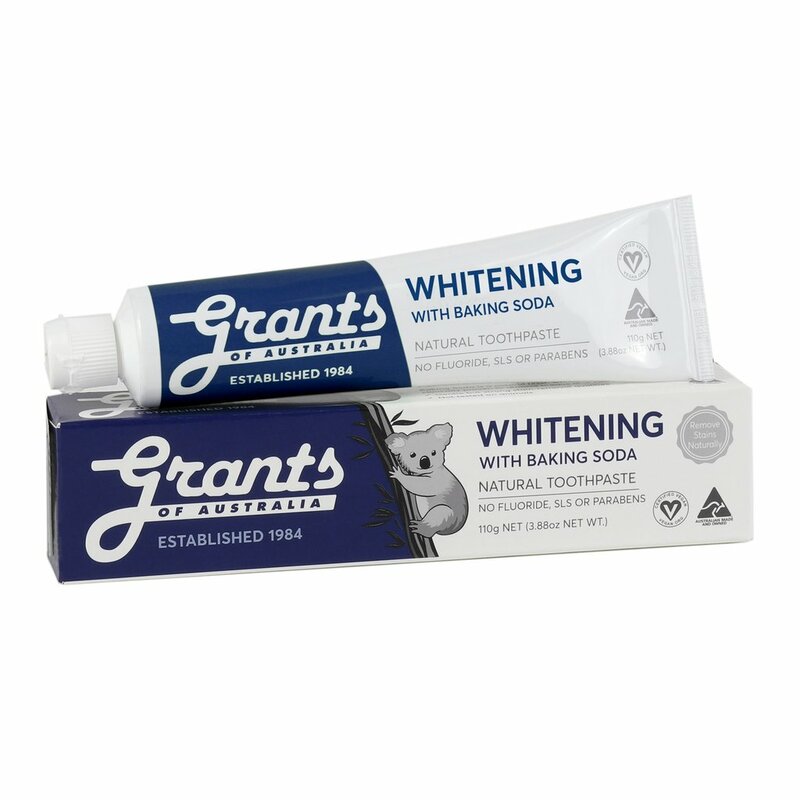 Ingredients: GM Free 100% Vital Wheat Gluten - also called Gluten Flour. Free of: milk, eggs, dairy, fish, crustacean, nuts, seeds, sulphites and bee products. 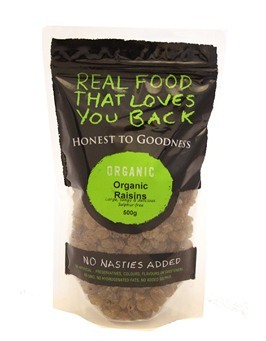 Label notes: 'May contain traces of egg, dairy, seed, nut, peanut, soy and gluten" - This is just a precautionary note. HOWEVER there is only a negligible trace if any at all, of any of these ingredients in this product. This item is packed in a separate cleaned area. 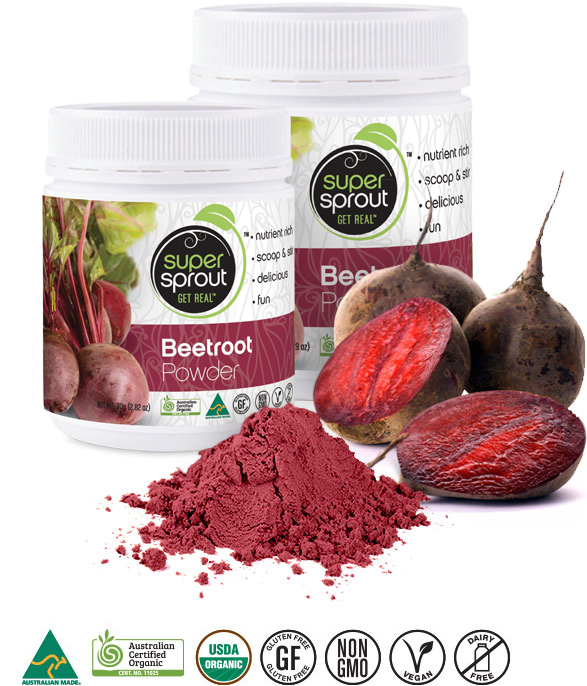 Store: Shelf Life - 12-24 months when stored under cool, dry, dark, sealed conditions. Certification: ISO 9001, HACCP, SQF, AIB, Kosher, Halal. This is a basic recipe for gluten or seitan. Add garlic, ginger powder, nutritional savoury yeast flakes to flour and stir. Mix liquids together and add to flour mixture all at once. Mix vigorously with a fork. When it forms a stiff dough knead it 10 to 15 times. Let the dough rest 2 to 5 minutes, then knead it a few more times. Let it rest another 15 minutes before proceeding. Cut gluten into 6 to 8 pieces and stretch into thin cutlets. Simmer in broth for 30 to 60 minutes. Combine all ingredients in a large saucepan. Bring broth to a boil. Add cutlets one at a time. Reduce heat to barely simmer when saucepan is covered. Seitan may be used, refrigerated, or frozen at this point. Or saute with your favourite sauces e.g. curry, teriyaki, herb, spices, basil, chilli, added to noodles, rice or salads. 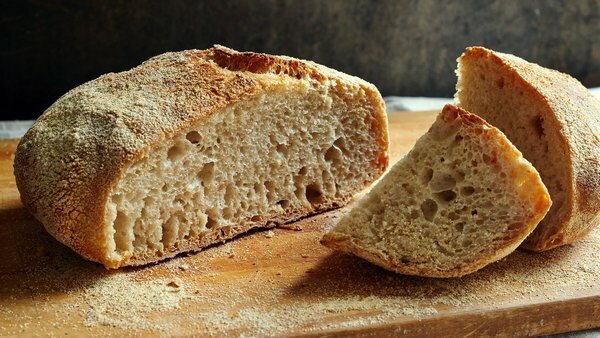 ** Bread recipes - how to use Vital Wheat Gluten? - Epicurious - guide to flours for bread making. - Kitchn - what is it and how to use vital wheat gluten. - Cooks Illustrated - what is it and how to use vital wheat gluten. Click here for the NY Time No Knead Bread Recipe or find below. The comments in the original post of this recipe are very helpful with great tips from keen bakers. Also click here for the latest edition of No Knead Bread recipe 10 years later. Add 1 5/8 cups water, and stir until blended; dough will be shaggy and sticky. Cover bowl with plastic wrap. Let dough rest at least 12 hours, preferably about 18, at warm room temperature, about 70 degrees. Dough is ready when its surface is dotted with bubbles. Lightly flour a work surface and place dough on it; sprinkle it with a little more flour and fold it over on itself once or twice. Cover loosely with plastic wrap and let rest about 15 minutes. Using just enough flour to keep dough from sticking to work surface or to your fingers, gently and quickly shape dough into a ball. Generously coat a cotton towel (not terry cloth) with flour, wheat bran or cornmeal; put dough seam side down on towel and dust with more flour, bran or cornmeal. Cover with another cotton towel and let rise for about 2 hours. Alternatively, you can just place the dough in a stainless steel bowl, cover and let rise. When it is ready, dough will be more than double in size and will not readily spring back when poked with a finger. At least a half-hour before dough is ready, heat oven to 450 degrees. Put a 6- to 8-quart heavy covered pot (cast iron, enamel, Pyrex or ceramic) in oven as it heats. When dough is ready, carefully remove pot from oven. Slide your hand under towel and turn dough over into pot, seam side up; it may look like a mess, but that is O.K. Shake pan once or twice if dough is unevenly distributed; it will straighten out as it bakes. Cover with lid and bake 30 minutes, then remove lid and bake another 15 to 30 minutes, until loaf is beautifully browned.